I recently told one of my friends about the amazing Rhodes Warm-N-Serv Rolls and her family has been enjoying them ever since. The other night she said they made hamburgers for dinner, but didn't have any buns, so they pulled these rolls out of the freezer, baked them and then had hamburger sliders for dinner within 15 minutes. That got me to thinking of all the yummy sandwiches that could be made using these delicious Warm-N-Serv Rolls. One of my favorite combos is bacon, ranch, chicken and cheese. You can't go wrong with that, right! 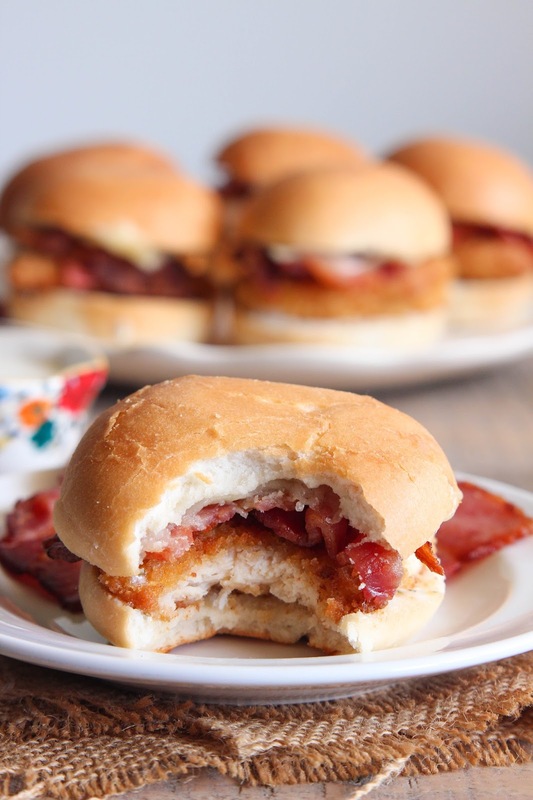 So, I threw all of the ingredients together and made Chicken, Bacon, Ranch Sliders and let me just tell you that these 5-Ingredient sliders are so dang good. 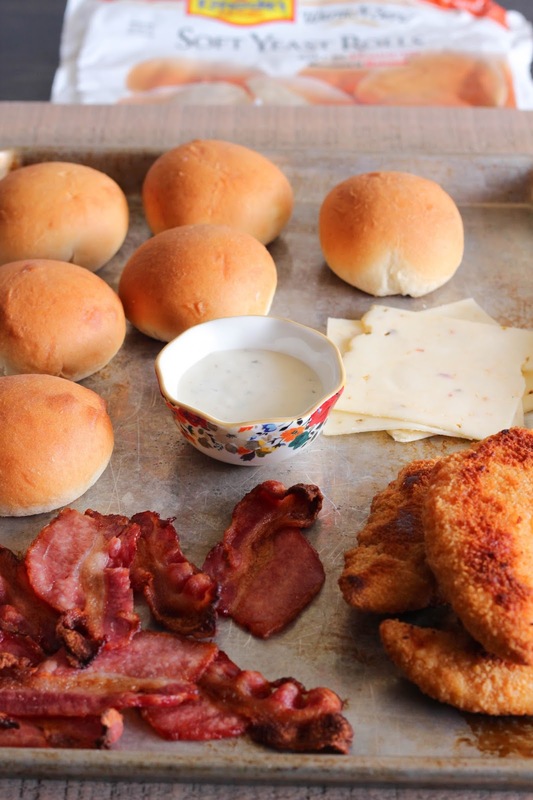 The soft buttery roll paired with the creamy ranch, crisp bacon, melty cheese and tender chicken is guaranteed to be a huge hit. Let me show you how easy these are to make . . .
First, get all of your ingredients ready. 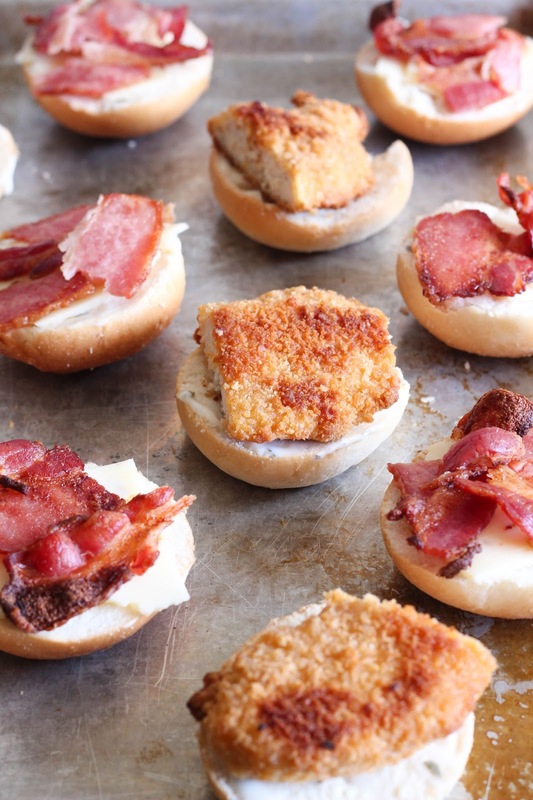 You will need baked Rhodes Warm-N-Serv Rolls, cooked bacon, cooked breaded chicken tenders, sliced cheese and ranch dressing. Slice the baked rolls in half, spread ranch over each half of each roll. Then, top one half of each roll with sliced cheese. Top one half of each roll with sliced bacon. Cut the breaded chicken tenders in half. Top one half of each roll with half of a chicken tender. Place the tops onto each roll. Place in a warm oven for a few minutes until the cheese is melted. Serve. Bake Rhodes Warm-N-Serv Rolls according to package directions. 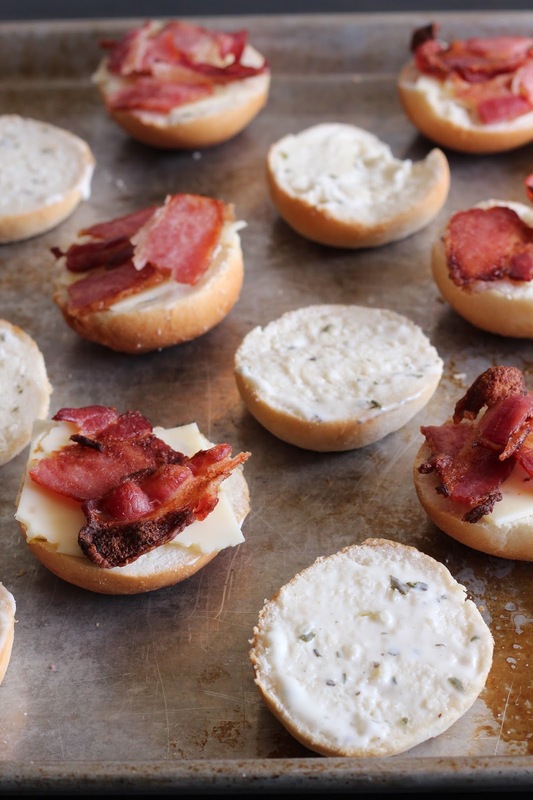 When finished baking, slice rolls in half and spread ranch dressing over each half. Cut or tear the slices of cheese into fourths. Place two pieces of cheese onto one half of each roll. Tear the bacon into smaller pieces and divide between one half of each roll. Cut the cooked chicken tenders in half and place one half onto each half of each roll. 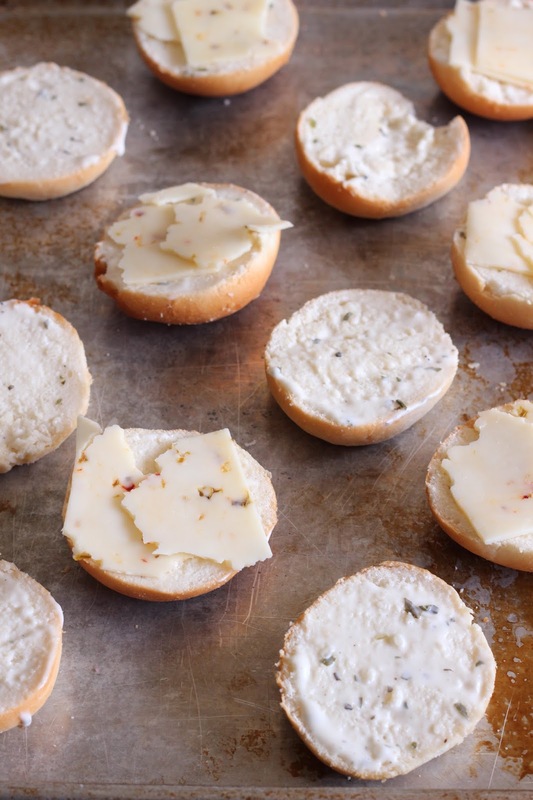 Place tops onto each roll and place in a warm oven until the cheese is melted, about 2-3 minutes. Serve with additional ranch dressing, if desired. This post is sponsored by Rhodes Bread. I have always been a fan of Rhodes Rolls and all opinions are my own. Thanks for allowing me to work with the brands that I love. This is the perfect bun for lunch while you are on work or kids in schools. Its light and healthy. Just one is enough for one time meal i think. 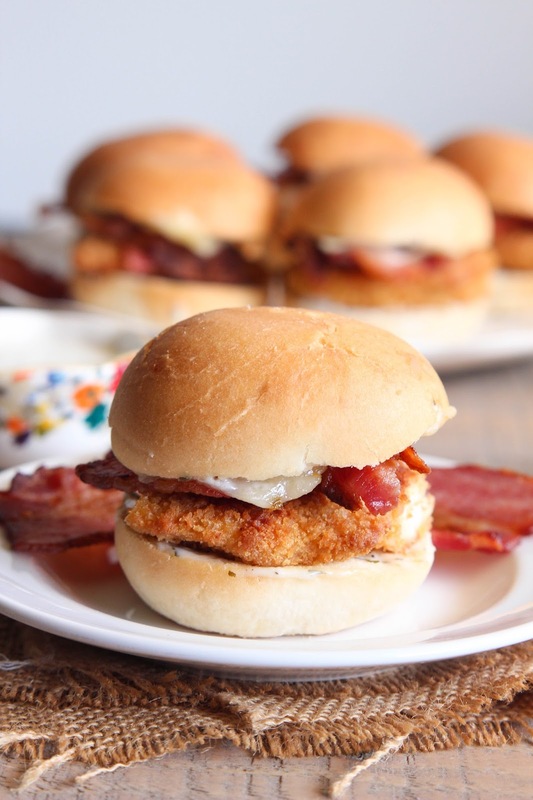 They are really Easy Chicken, Bacon, and Ranch Sliders, one can easily make this at evening with tea. And little kids will love it.